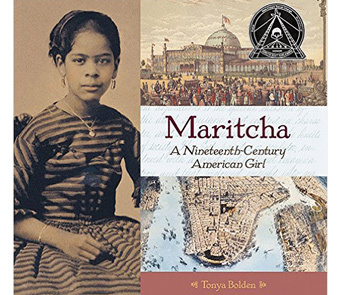 ﻿ New-York Historical Society | Reading into History Family Book Club: "Maritcha: A Nineteenth-Century American Girl"
This February, join us at the Museum as we welcome back celebrated author Tonya Bolden to discuss her book Maritcha: A Nineteenth-Century American Girl. Ask questions about her research and writing and discuss topics throughout the story, then afterwards Bolden will join us on a special guided group tour of our exhibition Black Citizenship in the Age of Jim Crow. programs > family programs > Reading into History Family Book Club: "Maritcha: A Nineteenth-Century American Girl"
In Tonya Bolden’s Coretta Scott King Honored book, she masterfully works with the unpublished memoir of Maritcha Rémond Lyons to construct this striking portrait of a free-born African American girl living in 19th-century New York. 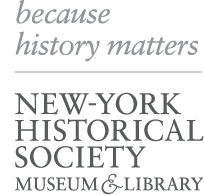 Through an exploration of Maritcha Lyons’ life in New York—including her father’s activism and her family’s response to the New York City Draft Riots—Bolden not only writes a compelling biography of a mostly forgotten historical figure, but also paints a striking picture of New York before, during, and after the Civil War. As we follow Maritcha from New York to Rhode Island, where Maritcha Lyons went on to become the first African American graduate of Providence High Scthool, readers come to know this remarkable young girl but also catch gain insight into a little-known chapter of American history.